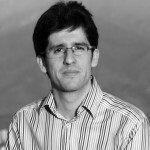 Pedro is a doctoral researcher in the Engineering Systems Group, Technical University of Denmark (DTU). His research focuses on how complex socio-technical systems are designed by large groups and what can be done to support this process. He is a Foreign and Commonwealth Office Chevening Scholar Alumni and in 2008 was selected as one of the 100 young Chilean leaders. His previous position was as lecturer and deputy director of innovation and entrepreneurship in Chile’s PUC’s School of Management. In the past, he has also been a consultant, trade manager and entrepreneur. At TEDxBradford, Pedro presented Networked Design: Exploring the Collective Creation of Complex Systems. The design of large systems is a complex social process, where hundreds or thousands of people might take part at any given point in time. Some of the largest systems that require to be redesigned, respond to pressing global challenges, such as better and cleaner energy, transportation, and affordable health care and education. Design at such scale involves increasingly difficult processes of coordination, negotiation, and alignment of objectives, putting traditional management approaches to the test. In this talk, we will explore the fascinating story behind the collective creation of complex systems and get a glimpse at how we can apply system thinking to better support this collective act of change and innovation. You can find Pedro on Twitter as @parraguezr and on LinkedIn at linkedin.com/in/pedroparraguez.